Madison County lies in the third tier north of the Missouri line and in the fourth east of the Missouri River and was named for James Madison, fourth President of the United States. It is traversed by the North, Middle, and South rivers along which are borders of native forest. The Badger River (now known as Badger Creek) runs through the northeast corner of the county and the Grand River runs through the southwest corner. The first settler in the county was Hiram Hurst who came from Andrew County, Missouri in April 1846 and took a claim in Crawford Township on what is known as the "old Cason farm". Hiram apparently came alone when he first settled his claim, accompanied only by his team and a dog. He built a small hut and planted a corn crop. 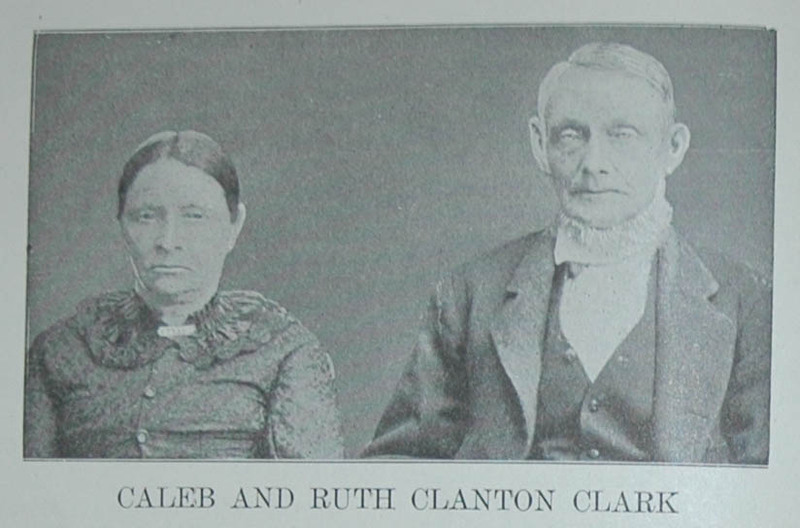 After the harvest, he returned to Missouri to retrieve his belongings and family consisting of his wife Elizabeth and sons John M., James H., and William Harris. According to census records, Hiram stayed about 5 years, leaving Madison County in late 1850 or early 1851 (some accounts have him leaving in 1854). He turned up next in the 1856 Otoe County, Nebraska state census with his wife, five sons and two daughters. 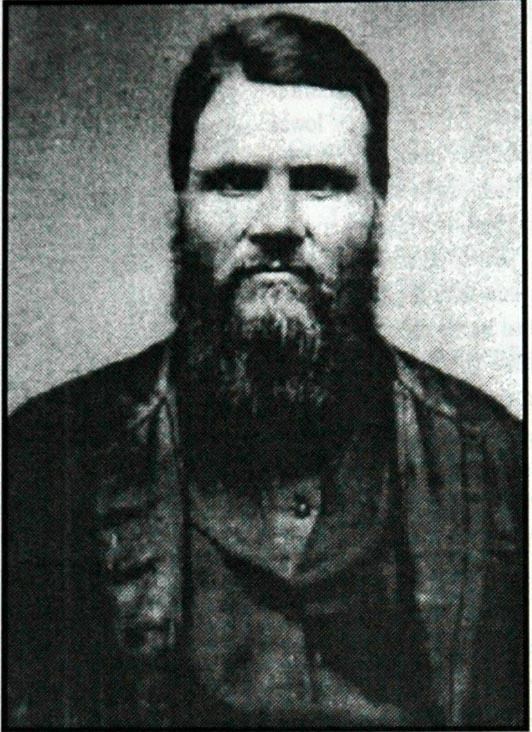 He died in Otoe County around 1889. In May 1846, three brothers, Joel M., Isaac and Charles William Clanton and brother-in-law Caleb Clark with their families settled along Clanton’s Creek. On May 3, 1846, Samuel R. Guye and family located on the divide between the Middle and North rivers. 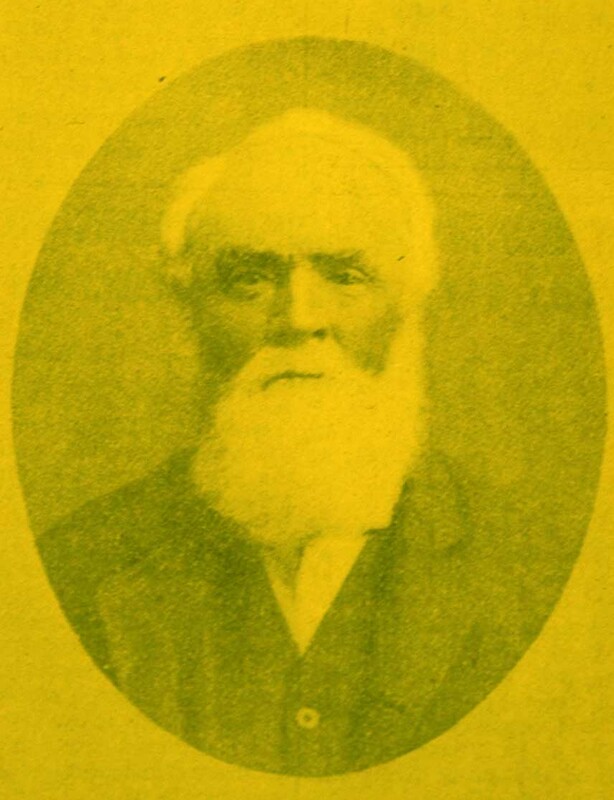 Samuel , born in Tennessee in 1797, moved to Indiana in 1828 and on to Missouri in 1841 before coming to Madison County. He brought with him his wife Susannah and children Mary, James., George Washington, Elizabeth, Francis M., Samuel Houston, Angeline, and Mariah. Crosby B. Jones and Seth Adams took claims near Middle River but apparently moved on very quickly as they do not appear in any Madison County census. Alfred D. Jones opened the first store at a place called the "Narrows" about four miles east of where Winterset stands today. The first post-office was established at this place with Mr. Jones as postmaster. Until 1848, both Madison and Warren Counties were precincts of Marion County and for the purposes of election and taxation, they were part of Marion County. * Madison County was then known as Black Oak Grove Precinct and the first election was held in August 1848 at the house of John Butler which was located at the land now owned by John Sumner in Union Township. The following persons voted at the election: Leonard Bowman, David Craycraft, David Henry, Andrew Evans, D. H. White, Robert Deshaser, Absolom McKinsey, John R. Bedell, George Myers, Amos Case, Clayborne Pitzer, David Jackson Casebier, Joel M. Clanton, Samuel Crawford, Jonathan C. Casebier, Jacob Combs, George W. Guye, Valentine Johnson, Asa Mills, Samuel B. Casebier, J. W. McKinsey, James Thornbrue, John Butler, Samuel Guye, Lemuel Thornbrue, David Bishop, Phillip M. Boyles, Thomas M. Boyles, and Ephram Bilderback. The pollbook of this election was conveyed to Knoxville by Phillip M. Boyles riding an Indian pony searching out his way through the trackless prairie and through brush. In April 1849, Madison County became a separate entity. In July 1849, the commissioners chosen for that purpose selected a site for the county-seat on a farm owned by John Guiberson who sold it to the county. The day was cold for midsummer when the commissioners assembled at the house of Enos Berger to agree upon a name for the new town. One of them suggested "Summerset." 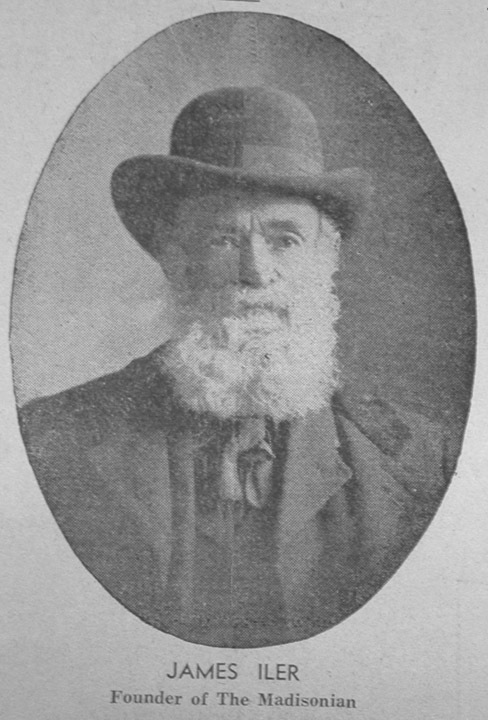 William Combes, who had been fortifying himself with "sod corn juice" against the cold, exclaimed "We had a site better call it Winterset"; his colleagues at once agreed and that became the name of the new county seat. In the 1850s, there was a movement started by a few prominent citizens to change the name from Winterset to something less foreboding to potential settlers but the movement never gained much support and was abandoned. The first county officers were chosen in April 1849, consisting of George W. McClellan, clerk; Phillip M. Boyles, recorder; Joseph K. Evans, treasurer; Alfred D. Jones, prosecuting attorney. William Combes, David Bishop and William Gentry became the first county commissioners. The commissioners authorized a double log house to be erected for the use of the county officials and courts. Judge William McKay held the first court in May, 1849 in a cabin used for a store and saloon. Enos Barger built the first house in Winterset and became the first postmaster. He also built a log house for a hotel in 1849 which was the largest building in the town. John A. Pitzer the following year built the first frame house in the county. In 1856 James Ilor brought an old printing press and type in a wagon from Sandusky, Ohio and began publication of a weekly newspaper called the Iowa Patriot which afterwards became the Winterset Madisonian. A year later, in 1857, the log courthouse was abandoned in favor of a permanent structure built of gray limestone mined from a local quarry. Unfortunately, this structure and much of its contents burned in 1875 which perhaps sealed the fate of the 1852 census returns that were collected but never submitted to the state. 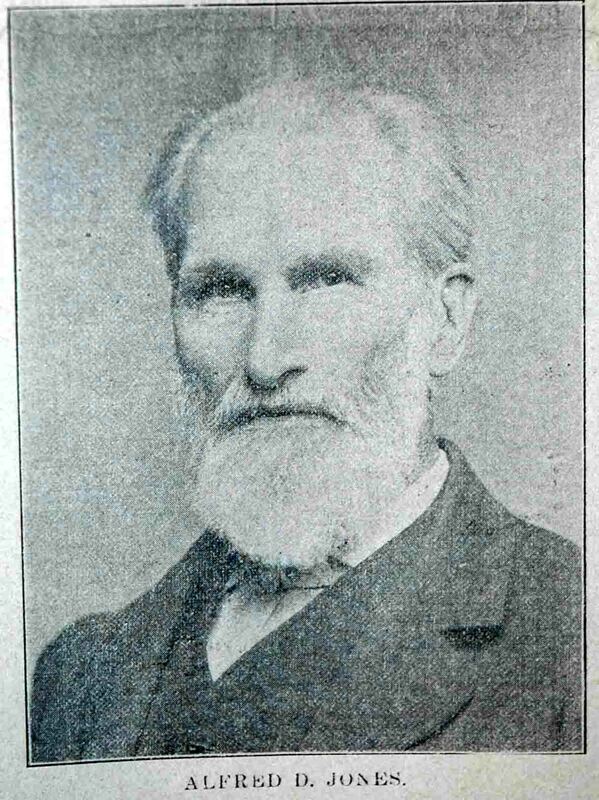 * See Winterset Madisonian, 06 March 1891. This page was last updated Thursday, 19-Jan-2017 21:37:21 EST .